Sponsored post from PNP. I received my own pass to create a video and call, but no other compensation was provided. All opinions are 100% my own. I had so much fun creating a Santa Video with PNP! Portable North Pole is a fun site that you can use to make and send personalized videos from Santa and his little helpers. You can also schedule a phone call that is personalized. The personalization process is much more than just adding your name in the video for Santa to say. There are two pages of personalizations that you can add and give the video your own personal touch. It's so much fun, because you can make the video serious or silly. The video can focus on being naughty or nice. You can add positive comments or ridiculous insults, if you want to. I enjoyed being silly on the Grown Up version of the video. The child's version of the video would be much more positive and sweet. The pictures of your child will be added. You can even make sure that their name is pronounced correctly. It's really a blast to personalize. After you create the video, you can make changes easily with the edit feature. 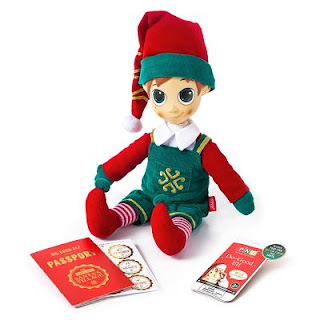 The Santa and elf actor use a magic board to bring your personalizations to life and it is really cute! I had a blast making my video and I think you will, too. 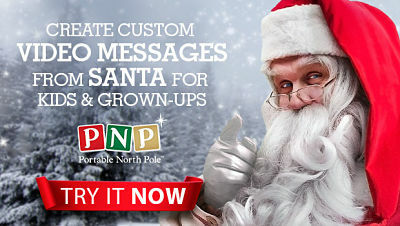 The other PNP feature was to create a personalized call from Santa. I picked the Christmas Eve call. Santa called me and told me all about his upcoming trip in the sleigh. Santa used my name in the call and it was such a blast to hear the jolly old voice speaking to me! I think kids will absolutely love the Portable North Pole (PNP) and it will help them to have great Christmas memories. I also love the toys that you can order. When you place your order for one of these adorable toys, they come with PNP videos for you to personalize and love. Want to get great Savings? The Magic Pass Discount will help you to save 20%. Also, get the Video Pass Discounts . I'm glad to offer these discounts to my readers and hope you have fun making your own personalized videos and calls!